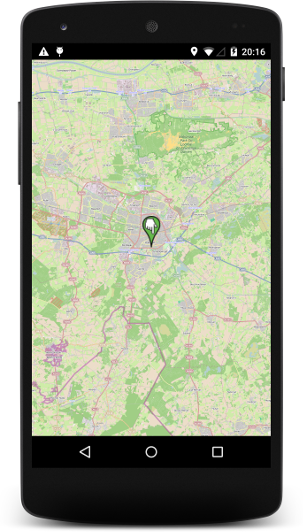 OSMDroid is a suitable alternative to Google Maps if you need an alternative tile source for mobile maps (e.g. a hiking map or a custom representation of a campus or theme park). In this post we show how to integrate with Google’s location services. The demonstration project is available on GitHub. Make sure to have the following permissions in AndroidManifest.xml. External storage is needed for OSMDroid to download tiles. We define a MapView in XML, although there are reasons not to do so. To follow the user’s location we define a location request in onCreate(). Adjust the update interval in millseconds to suit your needs.